POWELL, CHARLES STUART, actor, theatre manager, educator, and office holder; b. c. 1749 in England, son of S. Powell; m. Mary Ann – , and they had two daughters, Cordelia and Fidelia; d. 27 April 1811 in Halifax, N.S. Charles Stewart Powell came from a theatrical family. His father was an actor and manager, and Charles and his younger brother Snelling pursued similar careers. Snelling eventually earned a reputation as “the first successful manager of a theatre in Boston.” Charles probably gained his early experience in the west of England, Ireland, and Wales, where his brother was born. In 1781 he joined the company at the Theatre Royal, Bath, then in its heyday and “a splendid training ground for the young actor.” He first appeared on the London stage at the Theatre Royal, Covent Garden, on 26 April 1788. From that time until 1792 he was a member of the Covent Garden company, and during the summers of those years he performed with the Theatre Royal in the Haymarket. In the summer of 1792 Powell emigrated to Boston, Mass. His first appearance there was at Concert Hall on 13 August, when he staged a solo performance of John Collins’s “Evening Brush for Rubbing off the Sleeve of Care.” Later in the year Powell joined Joseph Harper’s Old American Company and played at the New Exhibition Room in productions of Hamlet and Richard III. The opening of this theatre had flouted an enactment of 1750 that prohibited stage performances, and by the end of the year Harper had been arrested and the theatre itself forced to close. However, with public pressure against the 1750 act mounting, in 1793 the authorities agreed not to launch further prosecutions. That same year Powell was named manager of the new Federal Street Theatre in Boston, and he returned to England to recruit a company that included his wife and brother. The Federal Street Theatre opened on 3 Feb. 1794 to an enthusiastic reception from Bostonians, though later that month the theatre’s musicians published a notice in the local newspapers asking the public to refrain from pelting them with apples, stones, and other assorted objects. Unfortunately, the theatre’s financial position was precarious and, to make matters worse, Powell was accused of “improper conduct” towards one of the company’s actresses, a charge he publicly denied. After the 1795–96 season, which resulted in his bankruptcy, Powell was replaced as manager. Although he announced his intention of returning to England and publishing an attack on his opponents in the Federal Street Theatre, on 26 Dec. 1796 he emerged as manager of the new Haymarket Theatre in Boston, designed to rival the Federal Street. Here, too, he found himself in pecuniary difficulties, and at the close of the first season he again lost his position as manager. Despite this blow, he and his wife remained members of the Haymarket company. At about this time Powell was seen by Prince Edward Augustus. Knowing of the problems and quarrels that had thwarted Powell’s attempts at theatrical management in Boston, Prince Edward invited him to Halifax to assist in “elevating the public and private morals of the community.” In 1789 Canada’s first regular theatre had been built on Argyle Street in Halifax by the gentlemen amateurs of the town and garrison. Originally named the New Grand Theatre, it was also called the New Theatre and the Halifax Theatre, but by the time of Powell’s arrival in 1797 it was known as the Theatre Royal, no doubt in deference to his patron. The amateurs had attempted, with occasional success, to recruit professionals to perform at the theatre, but scattered comments in the local newspapers indicate that standards were low. Powell was able to sustain the theatre in Halifax until some time in 1802. He gave more than 40 performances, including Shakespeare’s The tempest and Richard III, George Lillo’s The London merchant; or, the history of George Barnwell, Sheridan’s The duenna, and Colley Cibber’s and Sir John Vanbrugh’s The provok’d husband. No doubt the departure of Prince Edward from Halifax in the summer of 1800 had an effect on Powell’s prospects; there is a drastic reduction in the number and scale of productions after this date, and he apparently gave up the management in the summer of 1802. Besides the theatre, Powell operated a dancing academy in Halifax, as well as similar schools in Windsor and Cornwallis. On 9 June 1801, at the opening of a new session of the legislature, he was appointed serjeant-at-arms to the House of Assembly, a position he held until his death. In 1802 he established another school “for the purpose of reading the Classics.” He proposed “not only to point out the most distinguished beauties of each author, but to explain to the young reader the moral contained in the several respective passages . . . so as to form the judgment and give them a taste for cultivating the minds with polite literature.” In 1806–7 Powell returned to Boston for a season, but he was soon back in Halifax. 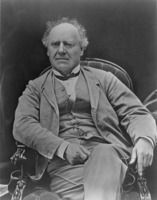 There, in July 1807, he launched the Telegraph, a newspaper that failed to survive. Three years later he visited Saint John, N.B., where he performed and operated a dancing academy for more than three months. Powell’s later years were marked by sickness and by poverty, which was not apparently alleviated by an occasional benefit at the theatre. He died on 27 April 1811, at his home on Prince Street in Halifax, and was buried in an unmarked grave in St Paul’s Cemetery. His wife and daughters returned to England in the hope of finding employment on the stage, but within six months they were destitute. Hearing of their plight, Prince Edward organized a benefit performance which raised £100, and soon afterwards he obtained a passage for them on a ship sailing to Halifax. There Cordelia Powell re-established her father’s dancing academy, giving instruction to such pupils as Joseph Howe* and Beamish Murdoch*. Nova Scotia Royal Gazette, 1 May 1811. Royal Gazette and the Nova Scotia Advertiser, 12 Sept. 1797, 20 March 1798. T. A. Brown, History of the American stage; containing biographical sketches of nearly every member of the profession that has appeared on the American stage, from 1733 to 1870 (New York, ). DAB (biog. of Snelling Powell). The London stage, 1660–1800 . . . , ed. William Van Lennep et al. (5 parts in 11v., Carbondale, Ill., 1960–68), pt.5. W. W. Clapp, A record of the Boston stage (Boston and Cambridge, Mass., 1853; repr. New York and London, ). Barnard Hewitt, Theatre U.S.A., 1665 to 1957 (New York and Toronto, 1959). Arthur Hornblow, A history of the theatre in America, from its beginnings to the present time (2v., Philadelphia and London, 1919; repr. [New York, 1965]). Murdoch, Hist. of N.S. S. M. Oland, “Materials for a history of the theatre in early Halifax” (ma thesis, Dalhousie Univ., Halifax, 1966). Cecil Price, The English theatre in Wales in the eighteenth and early nineteenth centuries (Cardiff, 1948). G. O. Seilhamer, History of the American theatre (3v., Philadelphia, 1888–91; repr. New York and London, 1968). M. E. Smith, Too soon the curtain fell: a history of theatre in Saint John, 1789–1900 ([Fredericton, 1981]). R. E. Toscan, “The organization and operation of the Federal Street Theatre from 1793 to 1806” (phd thesis, Univ. of Ill., Urbana-Champaign, 1970). Acadian Recorder, 27 Nov. 1824; 15 Aug. 1896; 6, 13 Nov. 1897. Y. S. Baines, “The New Grand Theatre, Halifax, 1789–1814,” N.S. Hist. Quarterly (Halifax), 10 (1980): 1–21. P. R. Blakeley, “A royal patron of the theatre,” Atlantic Advocate (Fredericton), 58 (1967–68), no.5: 42. A. R. Jewitt, “Early Halifax theatres,” Dalhousie Rev., 5 (1925–26): 444–59. Morning Sun (Halifax), 24 May, 2 June 1858. Novascotian (Halifax), 14 June 1838: 189; 24 March 1851. Alan R. Andrews, “POWELL, CHARLES STUART,” in Dictionary of Canadian Biography, vol. 5, University of Toronto/Université Laval, 2003–, accessed April 22, 2019, http://www.biographi.ca/en/bio/powell_charles_stuart_5E.html.